The Apostleship of Prayer (AP) is a worldwide organization which prays for the monthly intention of the Pope through daily morning offerings. Its mission is for the salvation of souls and to spread the Devotion to the Sacred Heart of Jesus. 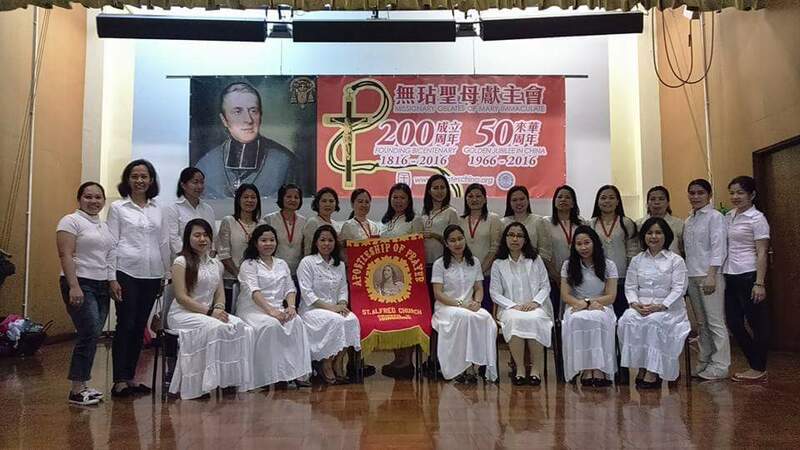 AP has 7 centers in Hong Kong, with Rev.Fr. 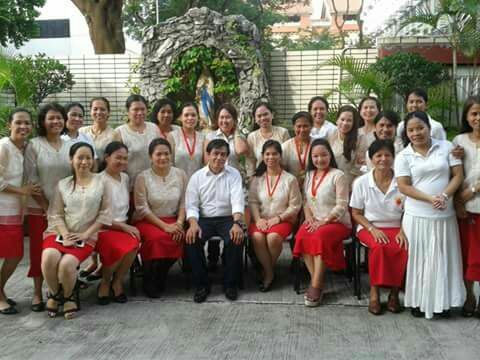 Rodolfo Jacobe, OMI as Spiritual Director and Sr. Felicitas, RGS as Assistant Spiritual Directress. Here in St. Alfred's Church, AP is Center 5 and at present it has 10 promoters, 9 invested members and 18 auxiliaries. We have 4 Eucharistic Ministers. Every 2nd and 4th Sunday of the month, we serve as ushers and collectors in Mass. Our activities include Holy Hour, Novena to the Sacred Heart of Jesus, Bible Study, Monthly Meeting and the Rosary. 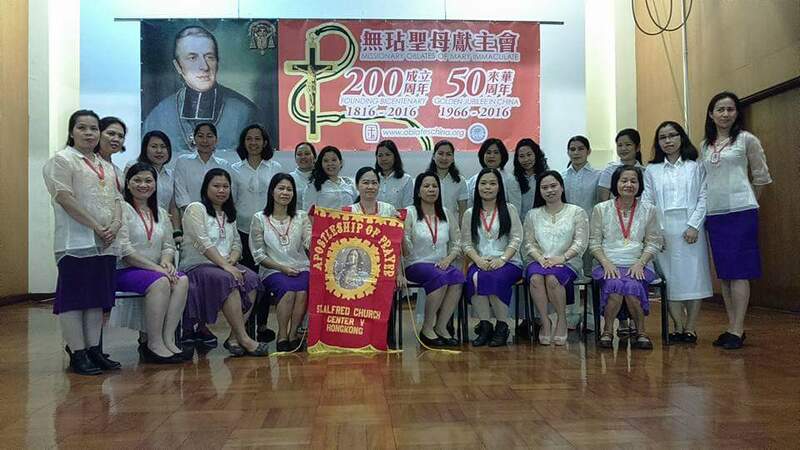 AP is a member of KAMMPI, a Filipino organization in Hong Kong. Every 2 months all officers from different AP centers gather together for a meeting. We join other AP centers whenever there are events and celebrations connected with AP.